We know this summer has been a warm one. Okay, some days it's been just plain hot. And maybe with our beautiful, little restaurant surrounded by glass on all corners from floor to ceiling might have been just TAD difficult to deal with (and we appreciate you coming anyway! ), but things have changed at La Farola! With our new beautiful floor to ceiling windows that open onto the corner of Therberton and Upper Street, eating tapas in style and comfort has now gotten so much easier. 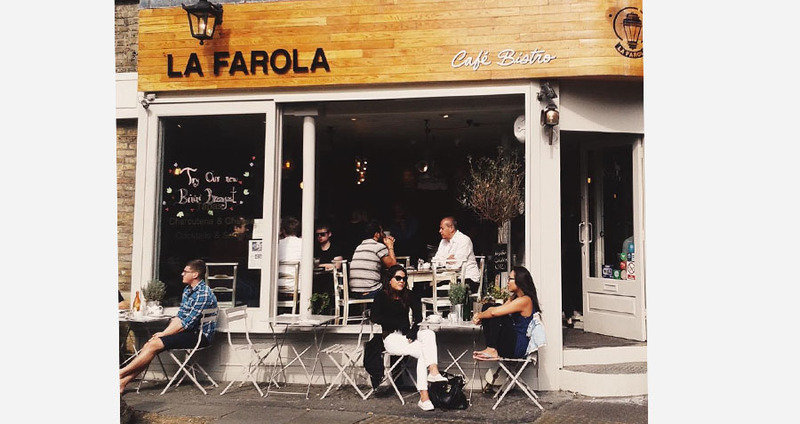 La Farola also has some new dishes that are worth checking out while you're enjoying these warm nights out! Maybe think about trying our delicious Asparagus Blancos! White asparagus sautéed and services with balsamic vinaigrette, a mint alioli and a lemon wedge to add a fresh kick. Or perhaps our beautiful Mejillones a la Marinera! Taking some inspiration from the Mediterranean, we cook fresh mussels in a flavourful tomato and basil sauce that is absolutely to die for. Or try a new classic at La Farola, the Grilled Picante Chorizo! We're using a juicer and thicker imported Spanish chorizo with just a bit of a spicy kick to it, grill 'em up and serve them just how you've grown to love them. So come check us out! Our cocktails list is ever changing and growing, our wine list is one of the best in London and our vines just keep getting cooler. Can't wait to see you soon!